Around the world, WWF and TRAFFIC are working with governments, enforcement agencies, communities and consumers to activate solutions to illegal and unsustainable wildlife trade. As a Singaporean and a global citizen, you can play a part too. Pledge not to consume or purchase any illegal wildlife products now. Your responsible consumption will reduce the demand for endangered species. Do not buy souvenirs made from endangered animal parts. 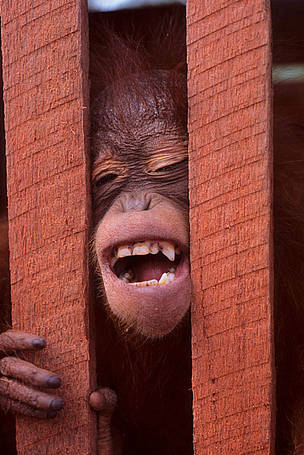 You may be unwittingly fuel the illegal wildlife trade and even get into trouble with the law. Do not eat wild meats. You will be doing wildlife a huge favour. Check the ingredients list of traditional medicines before you buy. They may contain ingredients from endangered animals, such as tiger bones, bear gall, Saiga antelope horn and musk deer. Do not keep wild animals as pets. They may be adorable, but wild animals belong in the wild and are often unsuitable as domestic pets. Do not buy wild animals with the intention to rescue them. This is a misconception. Your purchase only creates the impression of demand, which will encourage traders and poachers to take another animal from the wild. You may be implicated for being in possession of a wild animal. Ask questions before you buy the goods – make sure your purchases are legally sourced. When in doubt, do not buy any items with wildlife parts. See a shop selling tiger parts or ivory? Been offered rhino horn or bear bile at a TCM shop? Notice the person next to you at the airport carrying something suspicious? Your tip-offs are important to helping the wildlife! Here’s what to look out for. 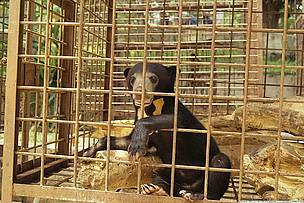 Wildlife crime is a serious international crime with massive repercussions. Yet, the issue is still not receiving the attention required to drive widespread action. Take the first step by pledging not to support the demand driving this illicit trade here. Then talk about it with your friends and family, ask questions or even post on social media. Acknowledging that illegal wildlife crime is a problem and that there is something we can do about it is the first step to bigger action. Say NO to illegal wildlife products. Pledge today! May 2012 – Thanks to a tip-off from a member of public, AVA and ACRES confiscated ‘tiger teeth’ from a makeshift stall at Waterloo Street, Singapore. The seller is under investigation. 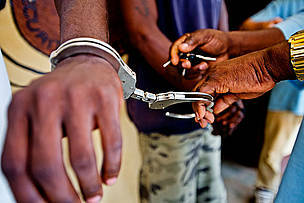 Two convicted elephant poachers are handcuffed at the jail in Oyem, Gabon. 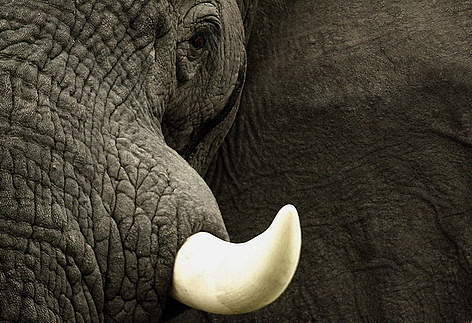 Elephant poaching carries a three year sentence.